To register a transfer of ownership, please use the transfer of ownership form; for more information see the Studbook “How To” Guide. Beware of Imitations! – a genuine Icelandic horse must have a passport which shows its bloodlines can be traced back to horses in Iceland. Usually that passport will be from the IHSGB (or another national Icelandic horse society if the horse is not British-bred). All registered Icelandic horses are entered into WorldFengur, the international database of Icelandic horses (IHSGB members have free access to this database). If you are considering buying a horse or pony which has been advertised as an Icelandic and you are not sure of its breeding, please contact the IHSGB studbook for clarification. Often has horses for sale, see www.connegarfarm.co.uk for more information or email jemimaha@hotmail.com. has several young horses back into training after a winter off and they will soon be for sale to the right homes. A ‘real’ winter which had Paula and I often struggling through massive snowdrifts (at times the tractor gave up and got stuck) just feeding cattle, sheep and horses. Prakkari, Osi, Pudra and others will be up for sale. We have also started breeding Icelandic horses again after a break of a few years. 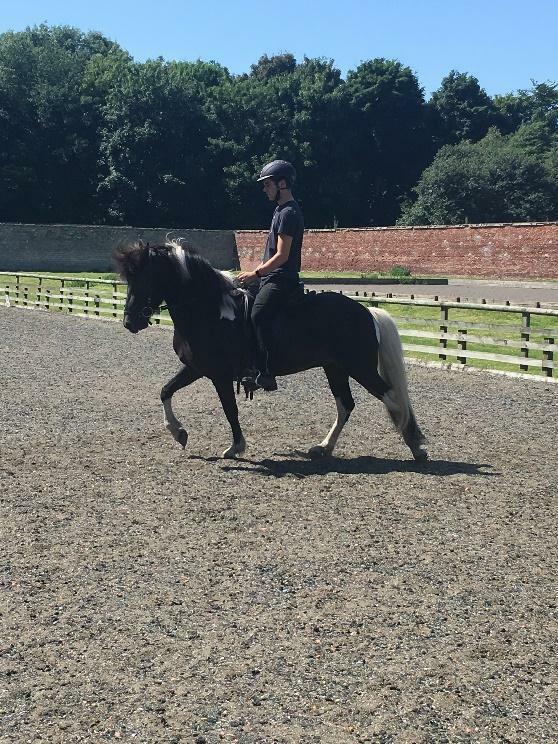 Last year we used two young well bred stallions from Denmark and our favourite mares with great temperaments, good height, clear supple gaits, and interesting colours. There are five foals due this month of May/June so do get in touch if you are interested in coming to see them and perhaps putting your name on one early on. 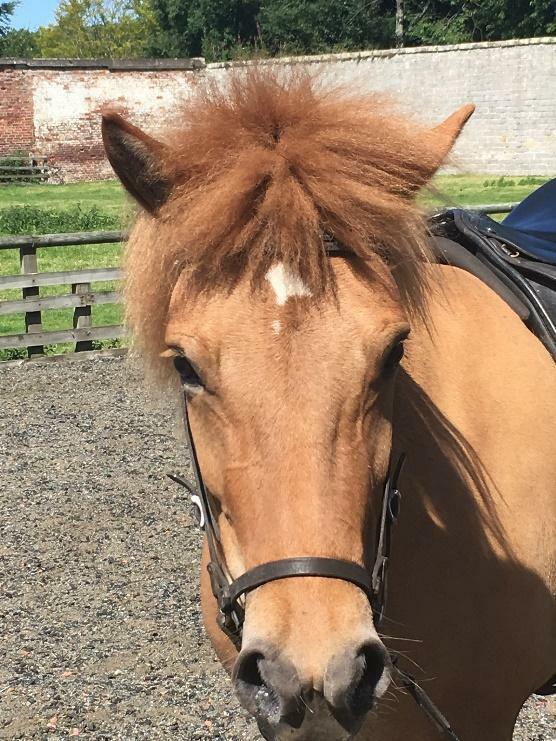 We aim as we have always done in the past to produce well balanced, interesting riding horses which are pleasing to the eye, are of a good size, are easily and clearly gaited for smoothness for the rider and are bold, willing and co-operative. 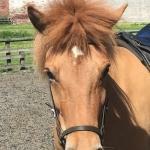 Windy Gowl Farm has 170 acres of rough ground which we think gives our youngsters the best stress free start and this shows in their honest, healthy and intelligent attitude to life later on when ridden. They grow and play in a very natural environment until training starts at around 5 years or only when they are mature enough to understand. 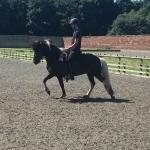 Training is kept light and fun both in the arena and out in the hills and the emphasis is on enjoyment for both rider and horse when they move on to new homes. Please do get in touch if you find yourself in our neck of the woods. There are lots of folk here with their own Icelandics ready for a good old natter (about 30 liveries) and for you to admire their horses, and we would be delighted to show you the breeding herd on the other part of the farm. None of us are particularly competition minded here and most are content riding about the hills, having picnics and longer rides over all sorts of exciting and differing terrain, doing the odd fun event in the arena and generally socialising. Ljúfur is a nice, fun gelding with great personality. 7 years old, black, happy to be ridden out, in the school, on his own and in company. Good with the farrier and most of what life throws at him! 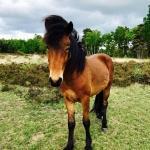 He’d make a good fun gelding for someone who wants to bring a young horse a long way! Plenty of tölt and forward thinking. 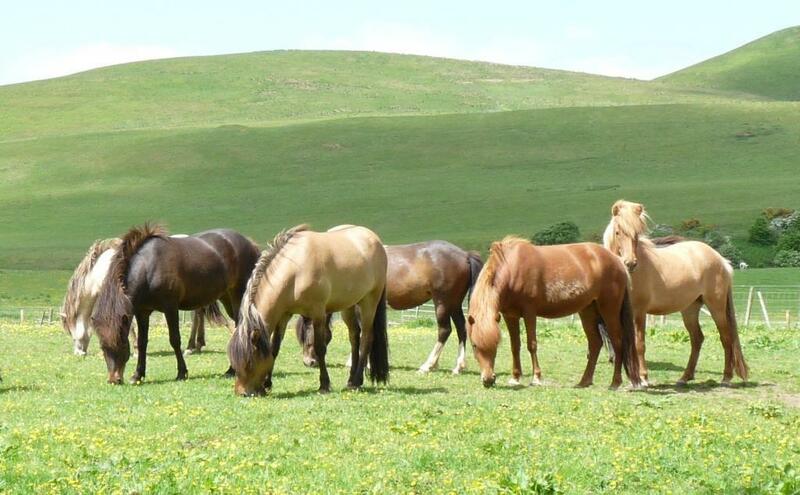 For more information and video see http://www.acicelandichorses.co.uk/sales.html or contact hestamennskagb@gmail.com.